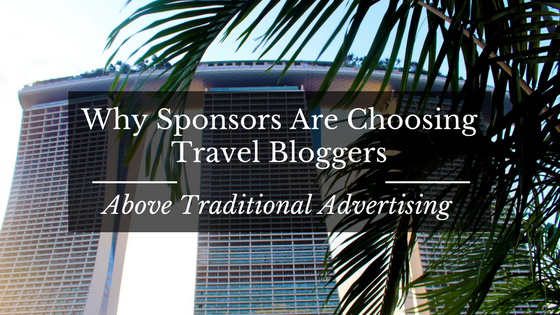 In this report Why Sponsors Are Choosing Travel Bloggers Above Traditional Advertising, you’ll discover why this trend is becoming more popular and worth considering. Marketing strategies these days are heavily driven by niche bloggers followed on various social media platforms. These people can range in status from super-star celebrities who leave everything they touch glittering with stardust down to ordinary bloggers who spend their time writing about their chosen areas of expertise. It’s no longer the number of followers that attract sponsors as it is the trusted blogger themselves. This has lead to the practice of sponsorship to become an especially sound marketing strategy. After all, being associated with respectable bloggers helps create a positive business image. Doing so may also generate human interest in a company’s products and help add authenticity to a given brand. Sponsoring a travel blog lets travel companies reach more people at lower costs than they would through a traditional advertising campaign. It might even enable companies to reach potential customers that might not have otherwise seen their messaging. In short, sponsoring the right blogger can substantially increase a company’s networking potential. Perhaps we’re all looking forward to our next vacation, a great many people read what travel bloggers write. Bloggers also tend to use plenty of pictures, which not only captures people’s interest but also holds it for longer periods of time than plain text does. Travel bloggers additionally use a wide variety of social media outlets to get their messages across. Therefore, they can help with product marketing on popular sites like Instagram, Facebook, and Twitter. According to a recent study, expert reviews are the fourth most important factor when it comes to influencing people’s purchases. Social media, ordinary user reviews, and online advertising were the top three factors. However, having a travel blogger promote your product or business simultaneously meets most of the aforementioned criteria. Bloggers are usually very active on social media and appearing in their posts is a form of online advertising. They can additionally provide readers with informative reviews that shed some light on the businesses or products that are available in a given area. Of course, professional or expert reviews naturally hold more weight than the information found on a company’s website. Such reviews can even be more important than ones found on public sites like Amazon and Trip Advisor when it comes to influencing people’s purchases. Travelers weigh the available information and make their plans accordingly. This, in turn, can affect a business’ marketability. A good review from a reputable blogger is worth its weight in gold when it comes to generating interest in something. Therefore, these folks are an especially influential resource to cultivate when it comes to promoting products, businesses, or services. Many different businesses have begun to take advantage of the press that travel bloggers can generate and these numbers are likely to grow in the future. Hotels and other forms of accommodation often provide writers with discounted rooms or even free lodgings in exchange for screen time. Food chains may instead use their blog affiliations to highlight new concepts or menu items by providing their partners with tastings or even free meals. However, these alliances aren’t just the purview of large businesses. Smaller establishments can easily partner with travel bloggers to increase their business traffic. Companies may additionally send bloggers products to try out in exchange for reviews. After all, people that normally ignore ads might not be able to treat the products being recommended by their favorite writers with the same amount of scorn. There are nonetheless a lot of pitfalls that bloggers and business owners should both be aware of before agreeing to work together. It’s in a company’s best interest to find articulate influencers that love their products and/or fit strongly with their current brand image. Likewise, bloggers should only accept offers that they feel good about. Both parties should be careful that they are on the same page regarding their expectations so that the partnership remains mutually beneficial. Companies that feel compelled to dictate blog content can easily cramp a writer’s natural voice and end up making the content in question sound too much like an advertisement. This can, in turn, cause both parties to lose credibility with their audiences. Businesses should let their products speak for themselves. After all, doing so can provide companies with valuable, realistic insights as to what people truly think. Simply paying for a positive review or forcing the blogger in question to jump through a series of hoops is nowhere near as effective as letting them handle the matter themselves. Readable, useful, and relevant information is the backbone of any successful blog. Yet travel bloggers who don’t have much to write about aren’t going to be the most useful of allies. Therefore, it’s in a business’ best interest to make sure that their affiliated bloggers have a great time and get to experience as much as possible. They should go the extra mile to give their writers something noteworthy to report. Of course, bloggers should nonetheless be careful not to ‘trick’ their audience by clearly marking all promotion posts. After all, a lack of transparency can result in a loss of readership and in turn affect future sponsorship offers. However, when their partnerships are properly managed, travel bloggers and business owners are an unbeatable marketing combination. There’s certainly a reason that these alliances are growing in popularity and will no doubt continue to do so in the future. Sources: Maximize Social Business, Tnooz, The Drum. 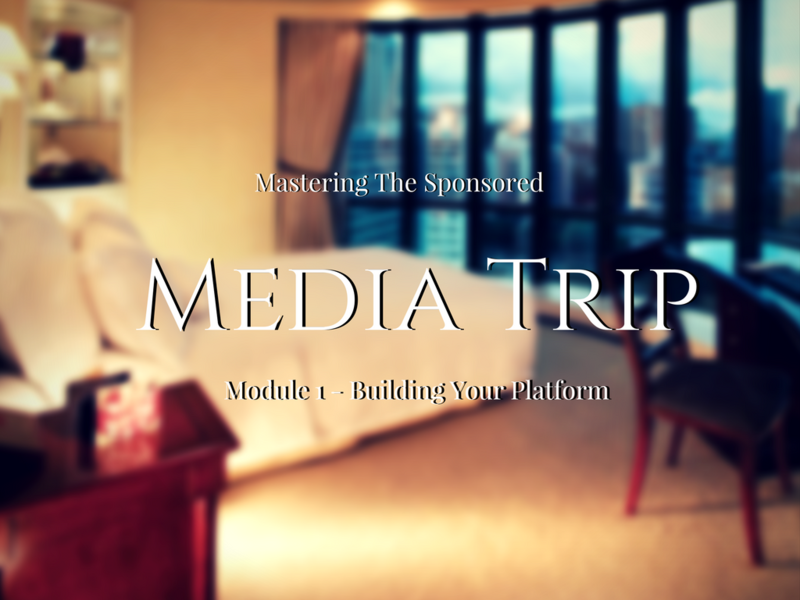 My comprehensive step-by-step course will teach you how to become a travel blogger that travels the world and have sponsors pay your expenses to write about your experiences. Click the picture to sign up NOW!